I am a pretty big fan of intestines. Anything that is a fundamental ingredient in sausage is cool with me and pajata is one of my all-time favorite pasta condiments. 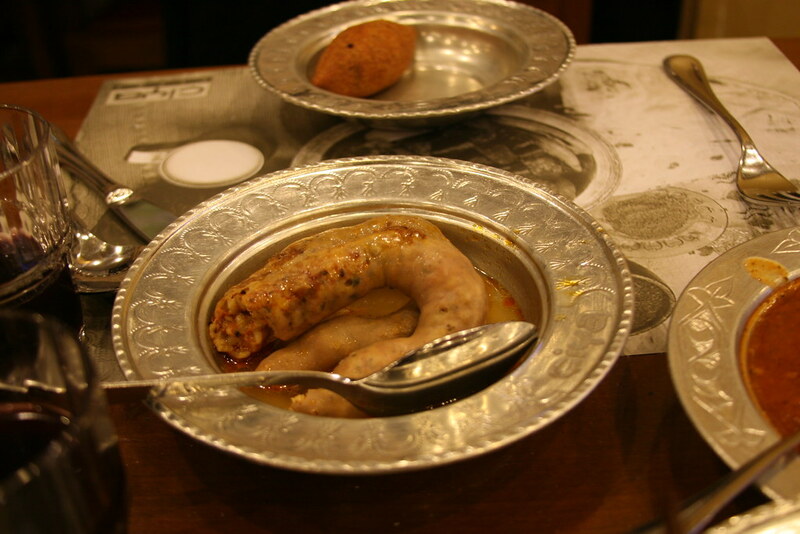 I had these mumbar dolması (stuffed intestines) at Çiya Sofrası in Kadıköy (Istanbul). The filling is a mixture of rice, bits of meat, and spices, a sort of poor man’s halal sausage. You MUST go to Ciya. Honestly, 1 trip isnt enough and since there are actually 3 Ciyas, you should make 1 trip to the tavola calda (Ciya Sofrasi) and 1 to one of the Kebab places for lahmacun and kebab. Oh my god and dont forget the lahmacun at Halil on the same street-hole in the wall, paper thin Turkish pizza for a buck. Insane. Btw, you should also check out Istanbul Easts for recs.